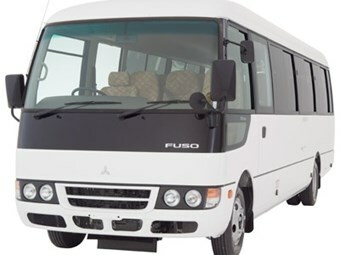 A recall notice has been issued on variants of the Mitsubishi Fuso Rosa bus and Canter light truck built during an eight-year period up to two years ago. The notice, issued by Product Recalls Australia, applies to more than 3,700 vehicles manufactured between July 25, 2003, and July 5, 2011. "It is possible that the fuel pipes may have been incorrectly manufactured or not tightened correctly and could crack," says the notice. "The defect may result in a fuel leak causing a hazard to other road users and in extreme circumstances may result in a fire hazard." A letter will be sent to affected owners, the notice says. "The fuel pipes will be inspected for damage, replaced if necessary and re-tensioned. These repairs will be carried out free of charge." A spokesman for Fuso says the recall applies to 4M5 engines which used to be shared between the Rosa and the Canter.